You know these days we have had many discussions at home about how we can change our life with our own efforts and also by putting up with many twists and turns of our fate. As my thoughts were revelling on these issues, I have been thinking to myself that actually speaking at the moment our future is still at bay and what really matters right now is how prudently we live our today. And therefore it becomes essential for us to make our day to day living worthwhile and meaningful. If we fill up our present day full of practical wisdom, peace and joy then we surely have a wonderful future ahead. 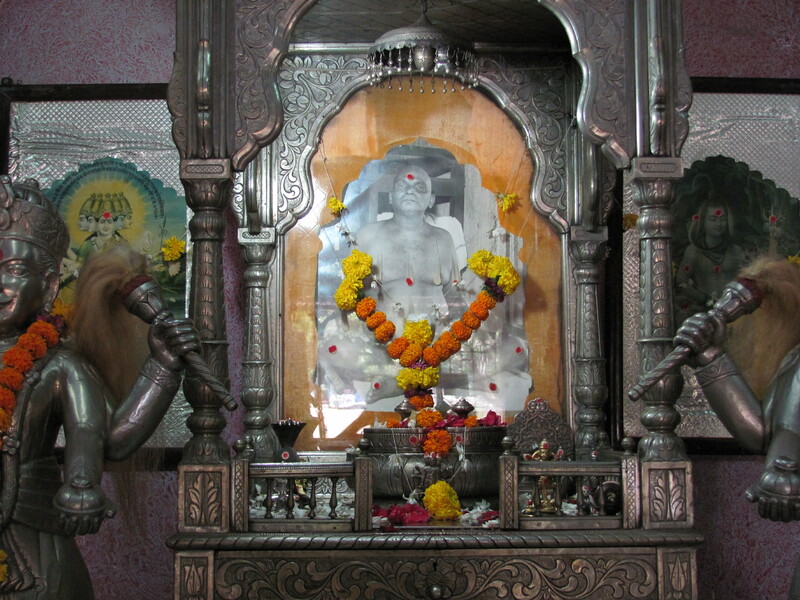 Today is 30th Nov, Swami Nityanand Bhagwan’s birth anniversary. It is my deep desire that I dedicate this post at His benevolent feet. The majority of people in this world are ignorant and live in the ‘gutter’. Their lives are dark, they do not know what is right for them. They do wrong and suffer and bear so much unnecessarily. Their instincts and behaviour are very similar to that of the animal kingdom. They are unhappy and miserable because they have created that for themselves by doing all kinds of sins. The world is full of miseries and sorrows because men sin gravely. If on the other hand, if man establishes a world based on self-discipline, tolerance, co-operation, love, peace, brotherhood, friendship, sobriety and self giving, there would be a paradise on earth. There are 3 types of sins termed as:- paap, maha paap and jaghanya paap. Sins, grave sins and extreme sins. Paap are actions such as lying, deceit, deliberate injury or damage to a person, ill-treatment of others, selfishness, stealing, jealousy, repulsion, antagonism, indifference to one’s duties. They can be worldly, religious or spiritual misconduct. Disrespect to elderly, women and guru, violence to children are all sins. They are paap, sins and can be forgiven if one changes his behaviour and moulds his life to that of virtuous living. Maha paap are those grave sins which are unpardonable- infidelity, treachery, killing, lying and cheating the poor by usurping their land and depriving them of their livelihood, swindling public money etc. Jaghanya paap are those despicable acts which are very grave in nature such as annihilation, destroying lives, betraying countrymen and one’s own country, spreading terror by killing innocent people, spying against one’s nation and mass destruction. Leave behind your past. Store and remember only the happy moments, good times and wonderful experiences in your mind. Based on these building- blocks of memories, build a new life and advance ahead. Discard the painful, insipid, distasteful and distressing memories of events that took place in the past and throw them out of your system. Selective choice helps the mind to filter out the unwanted and used up energies of past karmas. Fruits of karmas that we have already lived and what is over and done with should be discarded and expelled and in their place saplings of radiant beautiful flowers for a lovely garden should be planted now. Do not hold anyone responsible for your miseries and misfortune, just change your perception and outlook towards those circumstances and move on. In fact, make the most of your misfortune! They are truly blessings in disguise! Do not have a limited purview of life, expand your horizon. Transgress your limitations. Human knowledge gained through the intellect and memory has its own limiting periphery. While knowledge that flows from God through telepathy, intuition knows no boundaries. Through meditation and continuous good acts awaken and develop the quiet voice of God and intuit. There is power in wisdom. Blocked understanding and tarnished knowledge gives birth to undesirable traits and tendencies like envy, greed for power and money, selfishness, hollowness of character, stubbornness, argumentative nature, trampling over others etc. Everyday think and ask yourself what new things have I learnt today? What more is there that I need to know? Never stop your mind where learning is concerned. Our mind is like the large porcelain dish which when kept out in the open will fill up with rain showers by falling raindrops! Collect them! Improve your existing skills and learn new ones. Be a store house of many talents and gifts and be useful to others. The human skills are given to us to first help and empower ourselves and make our lives better and enriching and then to become a source of help to others. Do not be dependent on others to provide you all the help. Develop yourself to the fullest. Be gifted and let your Spirit shine forth through your work, nature and your attitude! Set targets and meaningful goals for yourself and chase them till they see the light of the day. My dear girl, it is very important to plan our life. For planning, we need to set our short term and long term goals. Reach out to meet the goals and achieve results as per the chalked out previous plans. Make your plans for future in areas of business and money matters, relations, personal development, career promotions, health as well as your personal life. Once they are met, have another set of goals and chase them. A directionless life has no meaning. A soporific life is not really worth living. To enrich our lives we must have definite chartered plans for today as well as for future. An unplanned life is like a boat sailing without the boatman in deep waters! Invest time, energy and money in health. Spare some time everyday in body care, good diet and health. It is a very good investment and will always pay back handsomely. A disease-free body with a good amount of stored energy is a pre-condition to achieve our spiritual goals and targets. Attain that. Happiness, calmness, moods and stability of mind is directly dependent on our health. It is a long term investment and its importance should not be overlooked. If you want quality work in your life then maintain good health. It is a vehicle by which we travel to the abode of God! Worship God in any form- formless or with a form. Do good karmas, acts of kindness and be charitable and always remain unselfish in your motives. Remember that God will always look after all your needs if you care for his other children. Reach out to those who are in distress and are looking for your help. Withhold negative emotions like anger, frustration, despair, agony, doubts, aimlessness, sadness etc and cultivate friendliness, faith, re-assurance, joy and trust in God. Work hard and work sincerely always in all circumstances, no matter what. God watches over us all the time, people don’t. Offer all your work to God because even work is a form of worship. Pray for others, do good and be good and do good to others always, irrespective of their behaviour towards you. Speak kind words and never use harsh words as injuring others does not solve our problems. Help others in achieving their goals whether material, professional or spiritual. You will in return get help from God in many quiet and subtle ways. Comfort others and you will be comforted. Help people to tide over their regression, difficulties and rough times during their lean period. Receive their blessings in return as the reward for your good intentions. If we try to live up to these principles of life, our each day will be beaming with God’s Grace and we will have a true spiritual life in real sense. If we sow healthy seeds of good trees, the fruit that it will bear will be very, very sweet. Have a refulgent future..
You are currently browsing the Spirit in life blog archives for the day Sunday, November 30th, 2008.